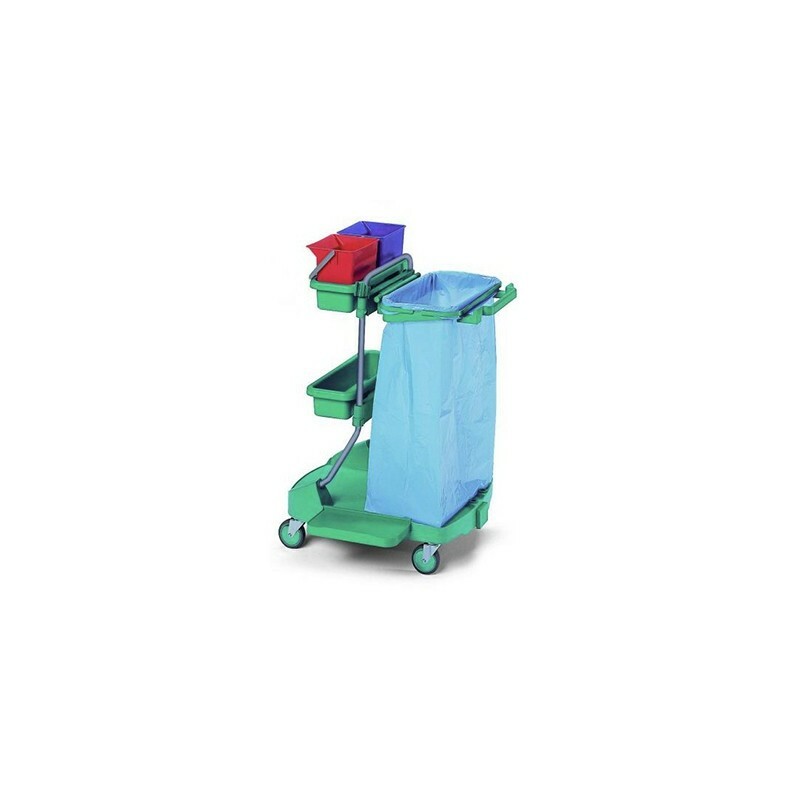 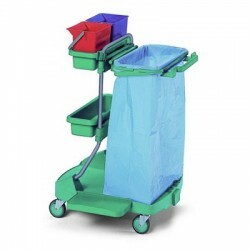 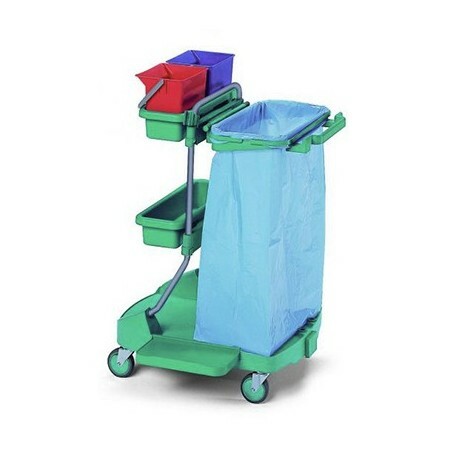 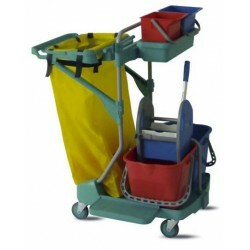 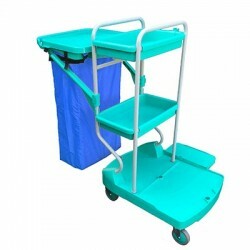 The TOP EVOLUTION V cleaning trolley is a high-quality hygiene complement, guaranteed by the renowned Italian brand EUROMOP. 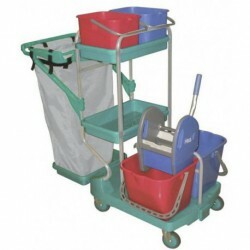 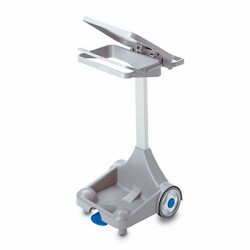 Manufactured in high-quality polypropylene and with a steel tubing frame with special RILSAN treatment, this TOP EVOLUTION V cleaning trolley is easy to assemble without screws, is stable, confortable, and easy to use thanks to its four Ã 100 mm rotating wheels. 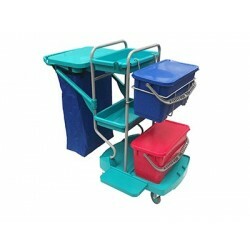 It comes with 3 trays, 2 6-litre buckets, mop stand, and handle clip. 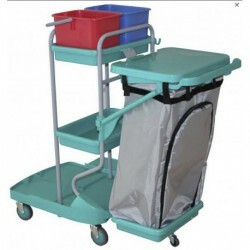 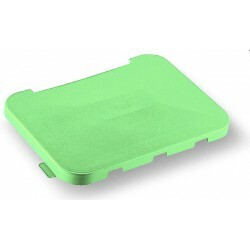 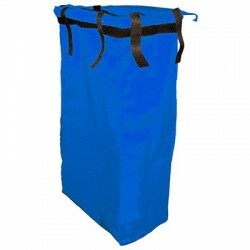 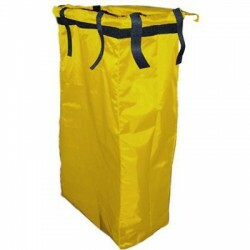 It does not include sack nor lid, and it measures: 800x575x1085 mm.